For projects located in a district designated for special landscaping by the local government, local design guidelines should be followed. Where local government has not designated special districts or guidelines, GSA’s project and site design may be a catalysts for encouraging such efforts. Before initiating the landscape design, the landscape architect should discuss with the facility manager how the landscaping will be maintained. If this information is not available, assume that only limited maintenance capabilities will be available. Sustainable design benefits GSA with healthier, longerlived plantings which rely less on pesticides, herbicides and fertilizers, minimize water use, require less maintenance and increase erosion control. The long-term upkeep and maintenance of landscape elements such as lighting, plaza or courtyard areas, fountains and similar elements must be considered during design. Equipment required for maintenance should be readily available standard equipment such as forklifts or electrical lifts, and its use approved by the facility manager. 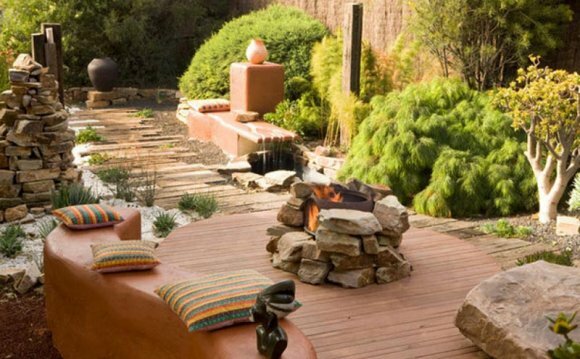 Sustainable landscape design considers the characteristics of the site and soil, and the intended effect and use of the developed area, in addition to the selection of plants. Where appropriate, regionally-native plants will be used. Zoning or grouping by plant materials may be considered if an irrigation system is to be used. Refer to the seven principles of Xeriscape™ on the Internet for further information. Given limited maintenance budgets, GSA conceptually divides the areas in a typical site into two categories. Category I areas have high visibility—such as the building entrance—and consist of highly developed designs. These areas should be sensitive to the architectural features of the building, and can require higher maintenance. Category II areas have lower visibility—such as parking lots, maintenance areas and outlying areas—and are of simpler design and maintenance. Design teams shall carefully consider how these landscape plans affect the use and feel of adjacent public spaces and properties. Where appropriate, they should coordinate design with local properties and plans—considering input but also encouraging compatible approaches by other developments. The designer should discuss the appropriate amounts of Category I and II areas with the facility manager, as the proportions will depend on the level of total maintenance capability. As the landscape design is developed, Category I and II areas should be identified on the drawings to clarify the design concept. A preliminary description of the necessary maintenance program should also accompany the Final Concept Submittal. See Appendix A: Submission Requirements. Soils will vary from site to site and even within sites selected by GSA. A soil test based on random samplings will provide the landscape architect with information needed for proper selection of plant materials and, if needed, soil amendments. The design will include those soil amendments to enhance the health and growing capabilities of the landscape. Outdoor Plazas and Courtyards. Consideration should be given to development of plazas and courtyards for employee and visitor uses, and for both planned and passive activities. It may also be possible to incorporate program requirements into these spaces, for example, for use as outdoor dining or meeting spaces. Fountains, Reflecting Pools and Ponds. Water may be used as a visual and possibly as an acoustic element. However, water features should not become a maintenance burden. Water consumption should be kept low, especially in very dry climates with high evaporation rates. Non-potable water sources may be considered for these uses. In colder climates provisions must be made for easy shut-off and drainage during the winter season. Fountains and reflecting pools with pumping systems are restricted to Category I areas of the site. Water features should not be placed over occupied space since leakage problems frequently occur.